A new YouGov Omnibus survey reveals that although the majority of those surveyed (56%) say restaurants take their food sensitivity seriously, a quarter (25%) don’t agree. Most respondents (76%) feel comfortable telling staff about their allergy or intolerance when dining out, but around one in seven (15%) still feel fairly uncomfortable - and 4% said they feel very uncomfortable. 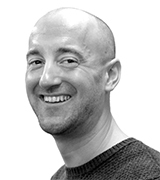 The data shows there may be a cause for concern around labelling and awareness. 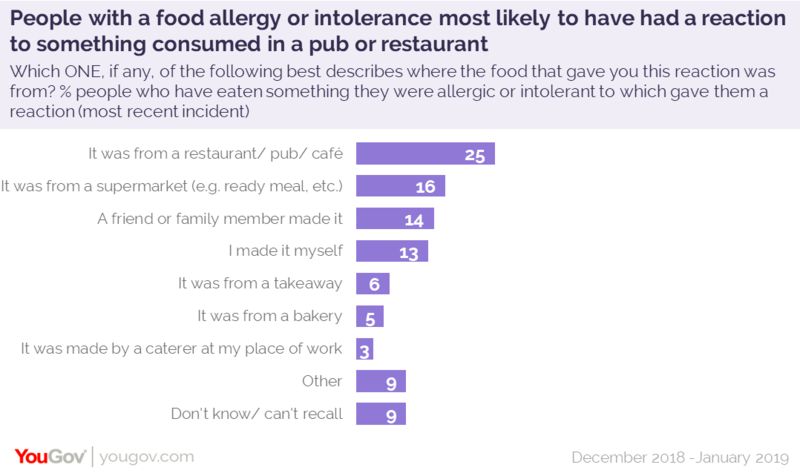 Of respondents who have eaten something they were allergic or intolerant to (which caused a reaction), a quarter (25%) said that, the most recent time this happened, the offending item was purchased from a restaurant, pub or café. Almost three in ten (28%) respondents have had a reaction to something they were allergic to within the last month and more than half (56%) had experienced this within the last year. In terms of who was at fault for the incident, 42% of these people blamed themselves the most. Just one in ten (10%) blamed staff and 6% blamed the brand that produced the item. Almost three in ten (28%) said no one was at fault. While half (50%) of respondents do not avoid any particular type of cuisine, many do err on the side of caution when choosing what to eat. Among those with a peanut allergy, 43% avoid Thai food, 27% steer clear of Indian dishes and 23% do not eat Chinese food. Almost a quarter (24%) of people who are sensitive to shellfish abstain from Thai cuisine. Among those with a sensitivity to dairy, Italian (23%) and French (18%) cuisines are most commonly avoided. Learn more about YouGov’s targeted research.